In October 1594 they sailed from Plymouth, England and on the outward voyage the English took several Spanish and Portuguese prizes and were joined by Edward Venner captain of the Peregrine out of Portsmouth and Welcome of Plymouth who with them also had a number of Spanish prizes. The combined forces soon captured its largest prize yet, a large Spanish galley-frigate. 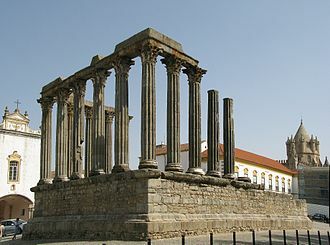 Now in possession of the area Lancaster knew the Portuguese were preparing a counterattack so he strengthened Fort São Jorge (using the captured ordnance) which connected Recife with Olinda. He then proceeded at leisure to stow his ships with the goods found in the town of which there nearly 100 houses and store buildings. 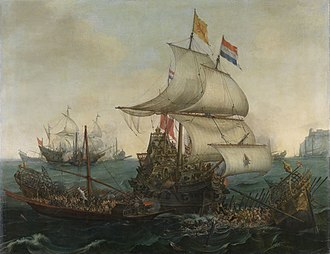 He agreed a fee with the Dutch captains to take a load of looted sugar and Brazil wood to England instead of Holland with Virgin to make sure they did, in effect using a diplomacy to charter the Dutch ships. Lancaster put to sea with fifteen vessels ladened with merchandises but a strong gale outside caused the fleet to be scattered. Lancaster had four ships with him and arrived in the Downs in July, only one ship never made it that being a Portuguese prize heavily damaged in gales and lack of crew so was scuttled. The declared value of the bulk of goods from the carrack brought back by Consent and Salomon was £31,000 and the cargo of Virgin and two of the fluitships were assessed at £15,000. Pereguine, Welcome their prize and the other fluitship carried at least as much totaling over £51,000. 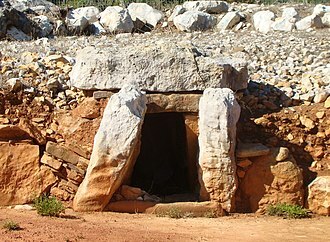 :57 As well as Brazil wood the carracks cargo consisted of pepper, cloves, indigo, cinnamon, mace, Benzoin resin, frankincense, gum-lac, aloes, calicoes, silks and rutile quartz blonde stones. In all the total would have represented £6,100 for the Lord Admiral and £3,050 for the Queen. Also of importance were new Portuguese rutters captured at Recife; Lancaster would use them to great effect for the first ever English East India company expedition in 1601. The Portuguese would soon increase Recife's defenses and forts were built on the isthmus between Recife and Olinda to deter subsequent attacks but to little avail. The Dutch would return here again and again before being forced out by the mid 1600s by the Portuguese. The attack on Recife however goes down in history as being the last attack ever made by the English on the coast of Brazil. ^ Holmes, Abiel (1829). The Annals of America: From the Discovery by Columbus in the Year 1492, to the Year 1826. Harvard University: Hilliard and Brown. p. 111. ^ a b c d e Markham, Clements Robert (1877). The Voyages of Sir James Lancaster to the East Indies, Volume 56. Hakluyt Society. pp. 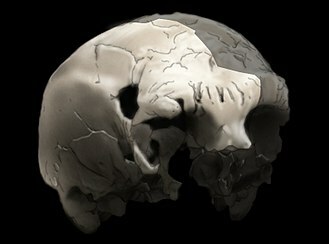 35–37. ^ a b c d Hakluyt, Richard (2006). Voyages and Discoveries. Penguin UK. pp. 375–85. ^ a b c "Lancaster, James" . Dictionary of National Biography. London: Smith, Elder & Co. 1885–1900. Hufferd, James (2005). Cruzeiro do sul: a history of Brazil's half millennium, Volume 1. AuthorHouse. ISBN 9781468531367. The 3rd Spanish Armada known as the Spanish Armada of 1597 was a major naval event that took place between October and November 1597 as part of the Anglo–Spanish War. When this was achieved the armada would go on to either the important port of Falmouth or Milford Haven. When the Spanish arrived in the English channel however they were dispersed by a storm which scattered their fleet, as a result, some ships did push on, and troops were even landed on the English and Welsh coasts. The English fleet, which had been scattered by the storm, were unaware that the Spanish had come to intercept them. 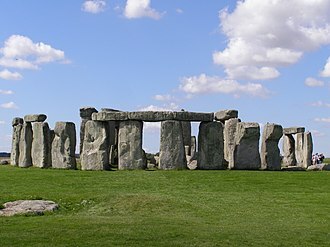 The English fleet arrived safely in England with loss of one ship. As a result, Padilla finally ordered a retreat back to Spain, a number of Spanish ships were captured in action by returning English ships from which valuable information was given about the Armada. Panic in England ensued partly because the English fleet had been out to sea with the English coast virtually undefended, any remaining Spanish ships were rounded up and captured along with their soldiers and crew. 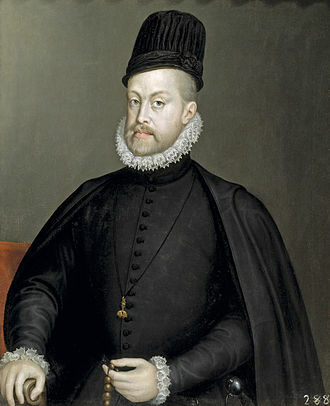 Philip took much of the blame for the failure by the Armada commanders particularly Padilla, the Armada was the last of its kind that the Spanish would execute under Philip II before his death. The war with Spain and England had been going on for twelve years. These bases had a strategic value because they allowed England to be threatened by the Spanish fleet. Meanwhile, England intervened in France, but in support of King Henry IV of France, the Spaniards had captured Calais in 1596 which meant that an invasion of England could be more achievable. As a result, after desperate French demands to keep her from signing peace with Spain, England had sent an armada the next year under the Earl of Essex and Charles Howard to Cadiz which was captured and sacked. 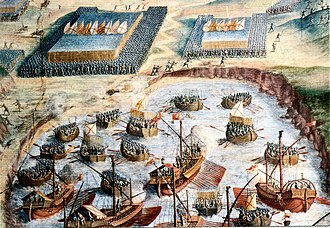 An angered Philip soon after took into consideration the defence of the peninsula, in a wave of revenge after the defeat at Cadiz, Philip II sent out orders for a large armada to do the same to England by way of taking the French port of Brest. In an attempt at revenge for the English sack of Cadiz in 1596 Philip immediately ordered a counter strike in the hope of assisting the Irish rebels in rebellion against the English crown. The strategy was to open up a new front in the war, forcing English troops away from France, the Armada under the command of the Adelantado, Martín de Padilla was gathered at Lisbon and Seville and set off in October. Before it had left Spanish waters storms struck the fleet off Cape Finisterre, the storms shattered the Armada causing heavy damage which forced the ships to return to their home ports. Nearly 5,000 men died either from the storm or disease, in addition, significant material and financial losses added to the bankruptcy of the Spanish Kingdom during the Autumn of 1596. Spain and England had been at war for twelve years with neither side gaining the upper hand. These bases had a strategic value because they allowed England to be threatened by the Spanish fleet. 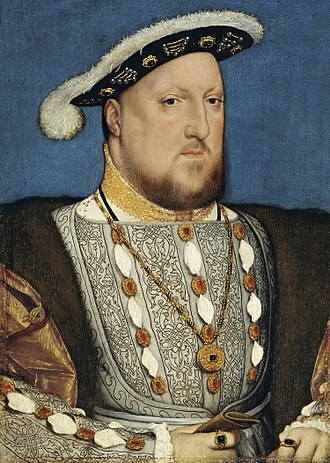 England on the hand had intervened in France, but in support of King Henry IV of France. The Spanish had captured Calais in 1596 which meant that a strike against England was potentially more achievable, after desperate French demands to keep her from signing peace with Spain, the English signed the Triple Alliance with the Dutch republic and France. 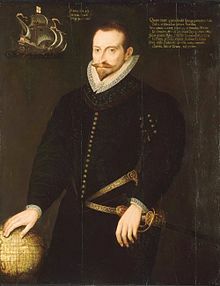 England had sent an armada under Robert Devereux and Charles Howard to Cadiz which was captured, Philip soon after took into consideration the defence of the peninsula but most of all sought revenge even if it meant selling everything he had. The leading English Jesuit exile in Spain, Robert Persons, went to an audience with Philip hoping to take advantage of the situation in trying to get the King to act, Persons argued for a winter attack when the Queen would least expect it. This meant an army of moderate size rather than a vast Armada that would give away the element of surprise in which Persons referenced the failed armada in 1588. Persons noted that the point of entry for the Spanish would have been from Scotland, Kent, or Milford Haven in Wales, here it was believed the Spaniards would find a vast reservoir of Catholic support. 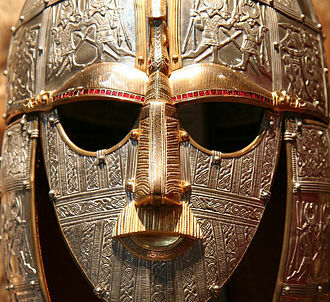 Detailed charts on the ports of England and Wales had been drawn up, a number of the Kings advisers however saw an invasion of Ireland as a better way to destabilize England. The use of Ireland as a springboard for a new invasion was nothing new, Marquis of Santa Cruz, the plan was only scrapped because of the delays caused by Drakes raid on Cadiz the following year. As early as 1595 ONeill and Hugh Roe ODonnell wrote to Philip for help and he proposed that his cousin Archduke Albert be made Prince of Ireland, but nothing came of this. Philip replied encouraging them in January 1596 to keep their faith in their Catholic religion, Spanish intervention, in Spains eyes, the English fighting on this new front was one they could not afford to do. Philip II placed great hope in the new Grand Armada that was being organised in Lisbon, there were fifteen galleons from Castile and nine from Portugal,53 Flemish and German boats which had been impounded, six pinnaces and one caravel, with 10,790 men. Gillis Peeters, was a Flemish painter and engraver who contributed to the development of marine art and landscape painting in Flanders. He was the brother of the marine painters Catharina, Jan I. He is recorded in 1631 as the pupil of the Dutch flower painter Anthony Claesz the Younger who had left his country in 1629. In 1634 Gillis became together with his brother Bonaventura a master in the Antwerp Guild of Saint Luke, initially the two brothers shared a studio in Antwerp until in 1641 Bonaventura moved to Hoboken where he worked in a studio with his siblings and pupils Catharina and Jan Peeters. It is believed that Gillis travelled to Brazil, possibly on two occasions, the first time would have been in 1636 when he travelled probably in the company of Johan Maurits van Nassau-Siegen who had been appointed the governor of the Dutch possessions in Brazil. He arrived in Brazil in 1637 but only stayed until the next year and he possible returned to Brazil in 1640. During his stay in Brazil he produced four paintings of views of Brazil and numerous drawings that were used by himself. He was the father of Willem, Gillis the Younger and Bonaventura the Younger, Bonaventura the Younger was a sailor and marine artist. There are known by Gillis the Younger. Although Gillis Peeters, like most of the members of his artist family, is best known as a marine artist, one of the earliest recorded work is the Landscape with Watermill dated 1633. In its blue-green hues it resembles the work of his contemporary Flemish landscape artists such as Lucas van Uden and his earlier landscapes representing mountains with spruce of the 1630s are characterised by their tonal palette and small figures. In the 1640s his horizons become deeper and his colours richer, a Wooded rocky landscape with a couple tending sheep of 1652 is a typical example of his small-scale working style. Unlike contemporary Dutch landscapes, which strived for realism, the landscapes of Peeters are artificial, with their candy-like colours, picturesque buildings and feathery trees they seem to anticipate the Rococo idyllic visions of a François Boucher hundred years later. The English were led by Francis Drake and was part of his Great Expedition to the raid the Spanish New World in a kind of preemptive strike. 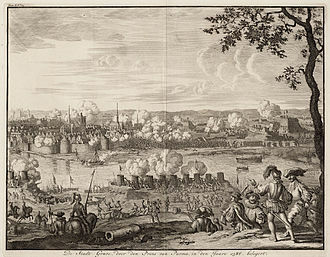 The English soldiers occupied the city for over a month, war had already been unofficially declared by Philip II of Spain after the Treaty of Nonsuch in which Elizabeth I had offered her support to the rebellious Protestant Dutch rebels. 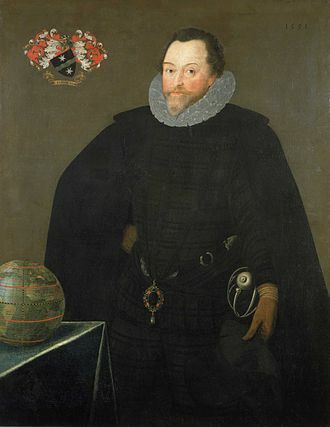 The Queen through Francis Walsingham ordered Sir Francis Drake to lead an expedition to attack the Spanish New World in a kind of preemptive strike, Drake arrived in the Caribbean in December to the uninhabited island of Saint Kitts, where he landed his sick and sought supplies. Whilst there he sent a reconnaissance squadron to the Spanish city of Santo Domingo on the island of Hispaniola. The governor, Cristóbal de Ovalle, was provided with artillery batteries covering both land and sea and had nearly 1,500 men of which 100 were cavalry. The naval defenses of the city consisted of one galley and although it was largely unseaworthy was still capable of posing a threat, Drake had the fortune of knowing that surprise would be on his side since the Spanish had no idea the English fleet were in the area. Just after midnight on 1 January 1586 Drake arrived off the Bajos de Haina, the path through the jungle that led towards the city was defenseless and the English advanced forward. The main fleet under Drake meanwhile sailed ten miles along the coast to Santo Domingo, the Spanish soon saw the threat, troops were mustered, work began on building earthworks to defend the shore, whilst many of the townspeople began slipping out of the city. At the mouth of the harbor, three ships were sunk to prevent any attempt to force the entrance but it was too late. On New Years Day Drakes ships lay off the mouth of the harbor, just within range and as English ships took up their stations, Drake ran out his guns. The Spanish fire soon replied and one shot hit the Elizabeth Bonaventure. Drake ordered his ships in closer, and soon began firing at the castle and the earthworks. 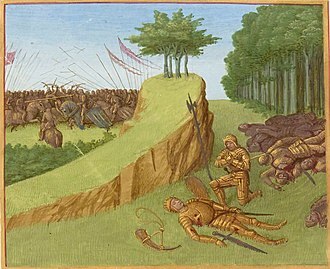 Carleill and 800 soldiers approached the city through the jungle, Drake sent men in boats to make a show of attempting a landing by way of a diversion.